Craig has been an important part of the chamber and knows how vital the Council is to the functioning of the British Chamber. For more information on the Council nominations process and timeline, please follow this link. If you’re interested but want to know more about being a Council member, or standing for President, contact Glenn for an informal discussion. I first became involved with the British Chamber­ in the mid-90s arriving from London to become a trade lawyer with Clifford Chance and wanting a network in the “Brussels village”. The chamber is an ideal place to connect with the EU and Belgian business community. My involvement deepened within the EU committee after being elected to the Council and moving to become in-house legal counsel at Philips Electronics. I am a great believer in the idea that everyone has to contribute to make something a success. The chamber relies on having a large, proactive team and members who invest time and energy to help it achieve its goals. Being so involved allowed me to play a part of the great leap forward that the EU Committee had around this time; recommencing its regular visits to Strasbourg, and it coincided with a resurgence in the attention and engagement of members. There was a focus on balancing both the Business in Belgium element as well as EU policy side. There was also a strengthening of the chamber as a neutral platform to exchange ideas. 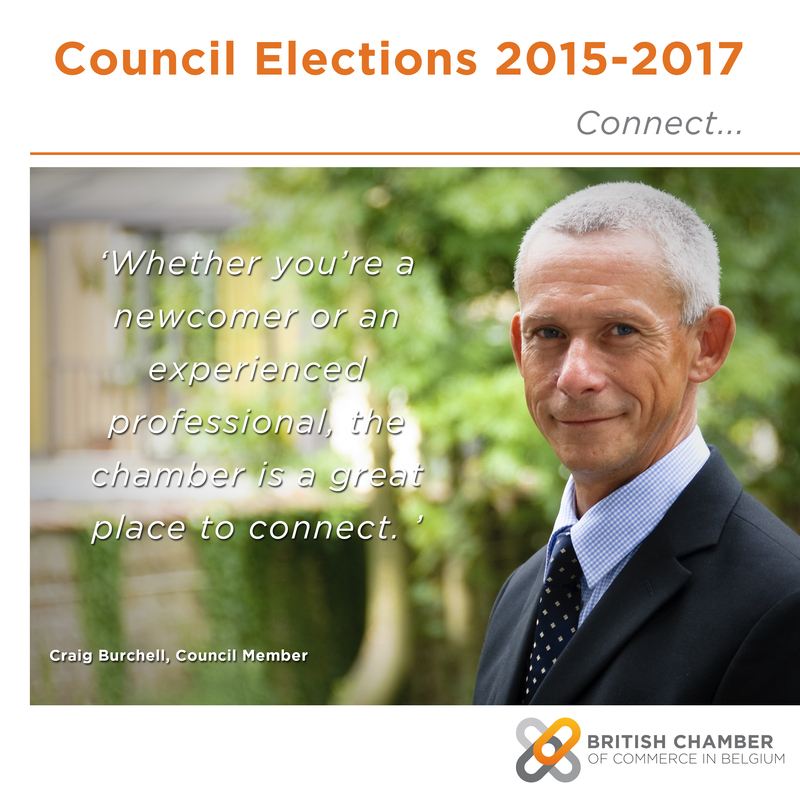 The chamber became a lot more professional and a lot more responsive to its members’ needs. It has also created stronger foundations that keep the chamber unique: a real platform for debate, a British connection, and a great place to network. These three pillars allow the chamber to offer great value for its members. I worked in the EU Committee and was asked by chamber President Philippe Jadoul to be the chambers’ Honorary Secretary and member of the Executive Committee for some years. Philips asked more too: I became Vice President for European and International Affairs, ushering in a period of extensive travelling around Asia and the United States. This meant I had to reduce my involvement due to time constraints. However, the British Chamber was a great place to touch down, to reconnect with Brussels and its business network. Whether you’re a newcomer or an experienced professional, the chamber is a great place to connect. The chamber offers its members quality access to policy makers and allows companies and organisations to profile themselves on issues that matter. I have thoroughly enjoyed participating in EU Committee events, exchanging views with members and policy makers alike. The people we meet in the chamber often go on to interesting places. I remember one day bringing in a long-time connaissance, David O’Sullivan when he was Director General of DG Trade. It was a lively debate as David always brings in a good crowd. He went on to become Head of the External Action Service and is now our EU Ambassador to the USA. The highlight of my time at the chamber has to be seeing, and being a part of, the EU Committee’s growth and evolution which successive leaders have driven in recent years – and deserve great praise. Being a Council member is also about being a custodian and bearing the responsibility of maintaining the relevance of the chamber on the waves of change in Brussels and the EU. The Council is about energising the chamber to thrive, evolve and stay relevant. It is about keeping the chamber at the cutting edge, serving members’ needs, from newcomers to well-established, and large and small organisations.